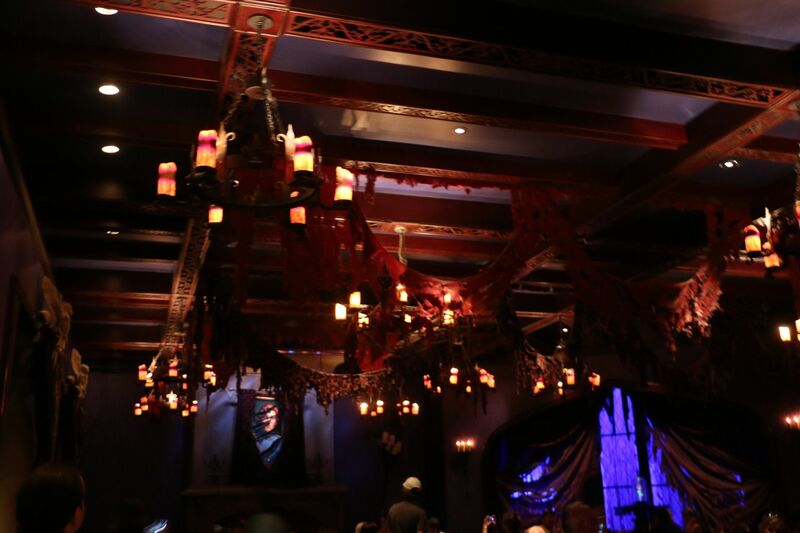 Today is week six in my blog series about my favorite restaurants at Disneyworld. Actually, last week would have been week six but with all of the free dining craziness I wasn’t able to get it done, so we will call this week six! 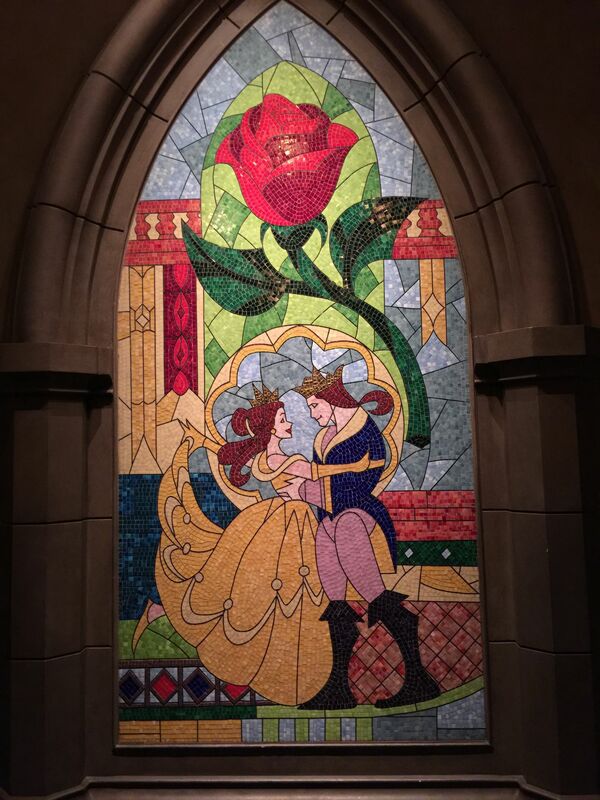 This week is all about the most popular restaurant in Disneyworld, Be Our Guest Restaurant in Magic Kingdom. 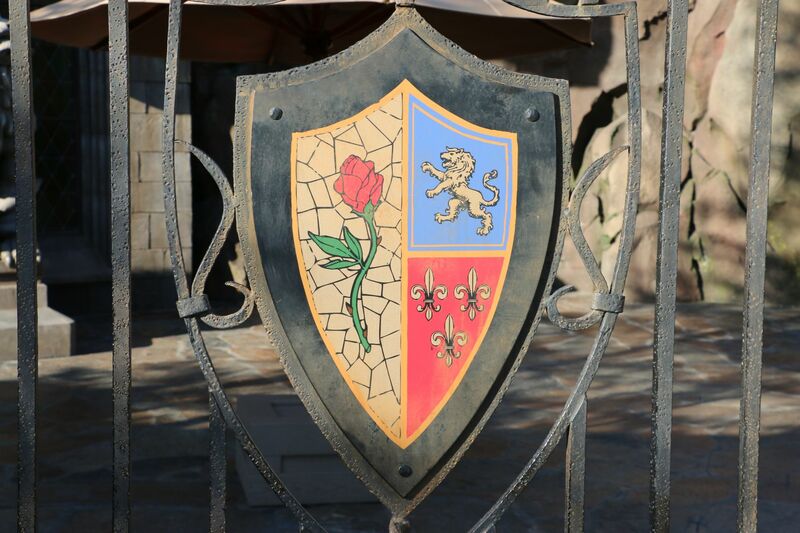 When you walk up to Be Our Guest you will enter thru big metal gates that have a rose detail. Then once your buzzer goes off, you will be led through the doors into the beautiful restaurant. 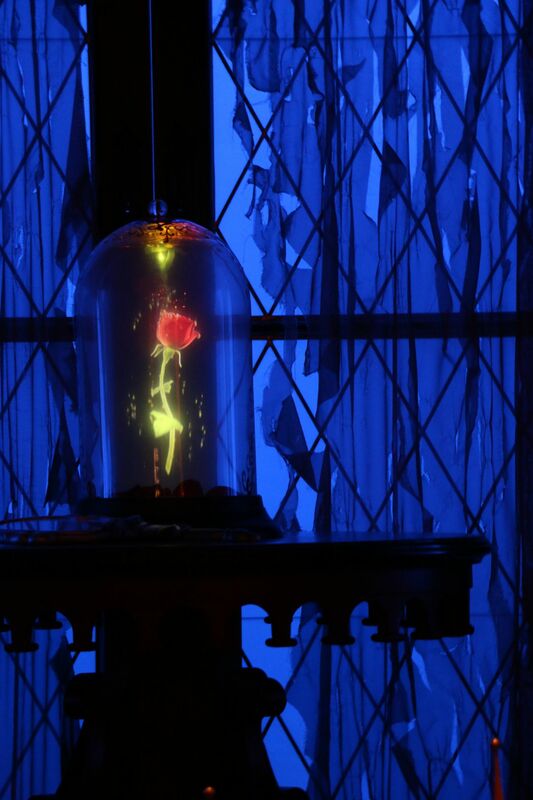 Why do we like Be Our Guest? 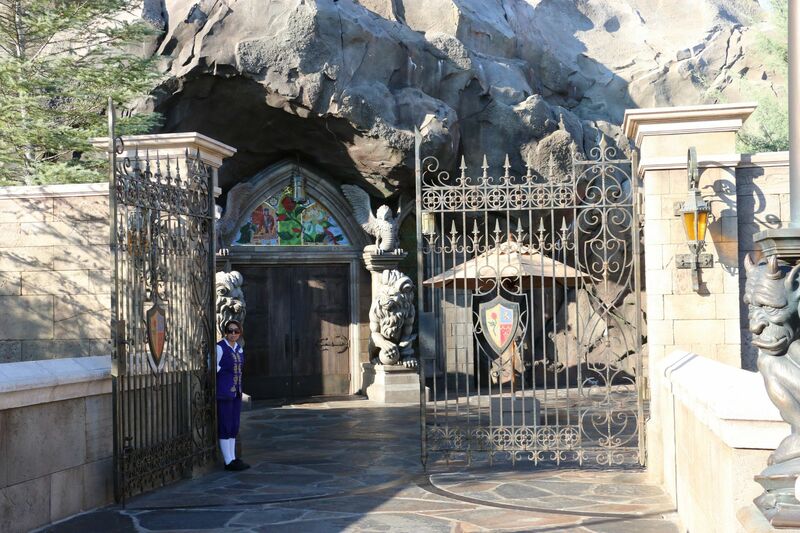 Be Our Guest Restaurant in Fantasyland at Magic Kingdom is the hardest dining reservation to get in all of Disneyworld. It is unique in that it is quick service for breakfast and lunch and table service for dinner, but breakfast and lunch still require a reservation. It is so popular that if you aren’t online at 6am 180 days out you may not get in. The food is delicious and much better than the typical quick service food. The restaurant is absolutely gorgeous. There are three dining rooms, the Ballroom, Rose Gallery and the West Wing. All three dining rooms are open for all three meals. It is not a character meal, but after dinner you do get your picture taken with the Beast. Our first visit was during our 20th anniversary trip. We had dinner in the Rose Gallery. 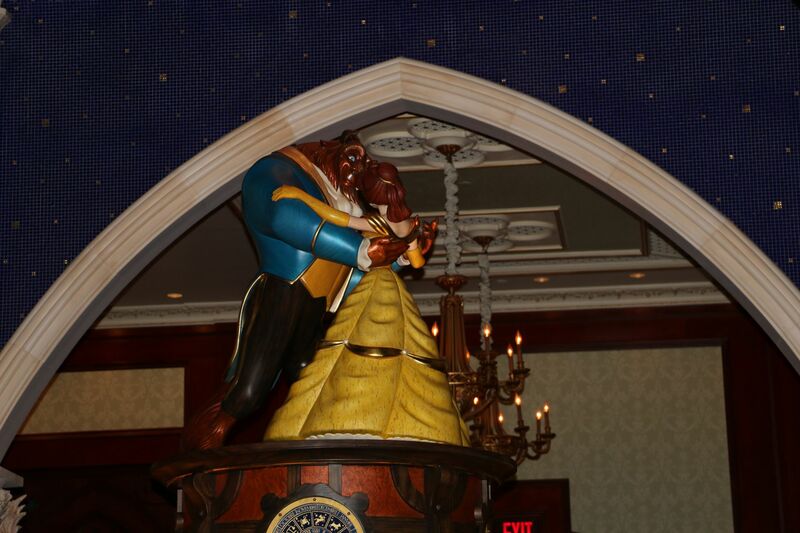 In the center of the room is a large, spinning statue of Belle and Beast dancing. 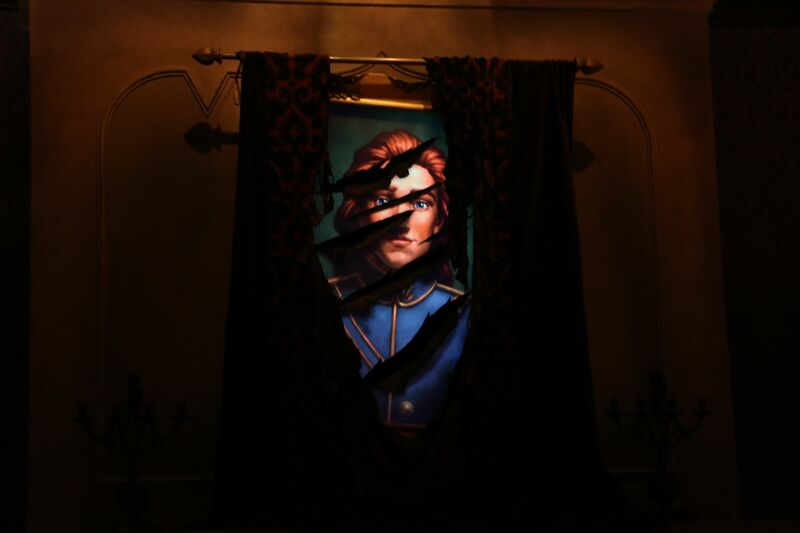 Around the room there is different themed artwork on the walls. 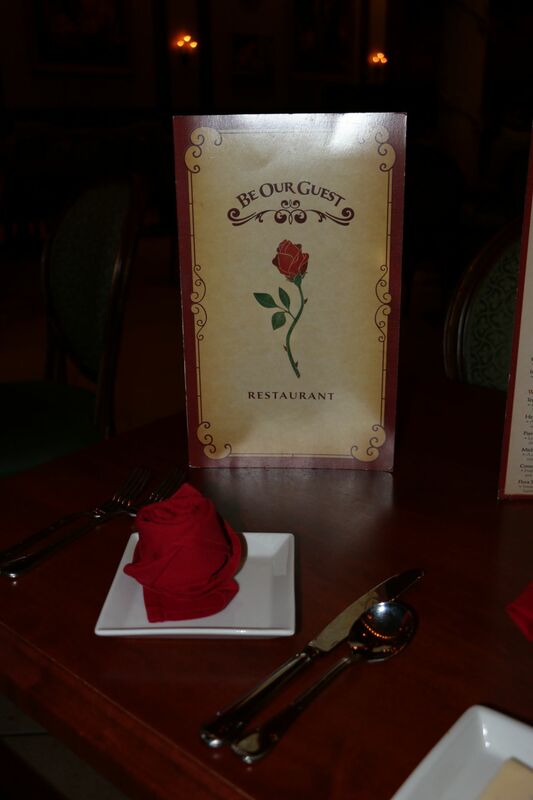 It’s really pretty, and I loved how our napkins were folded like a rose and the menus had the rose detail. On this visit we had dinner. 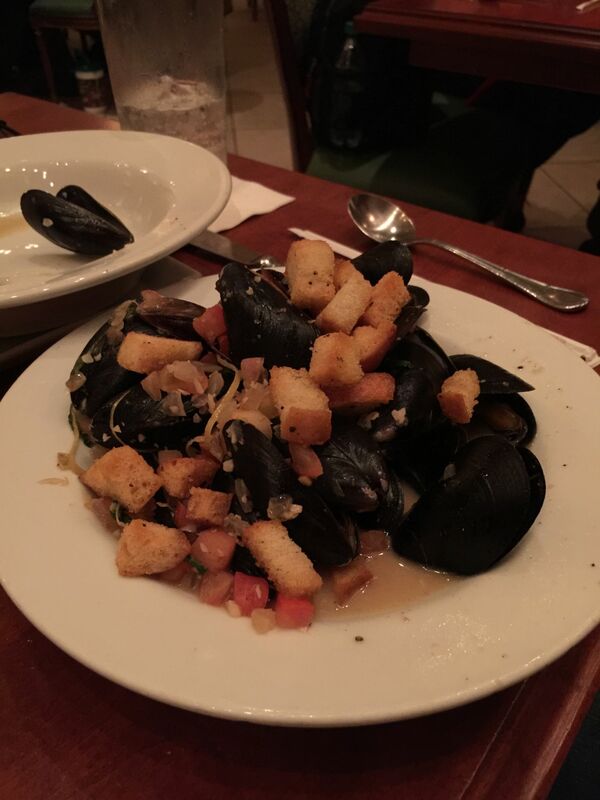 For an appetizer I had the french onion soup and Greg had Mussels Provencal. Both were really good. I’m a very picky eater and this was the first time I had ever had french onion soup and I liked it so much I now make it at home using a copycat recipe! For an entree, I had the pan-seared chicken breast with veggies and Greg had the sauteed shrimp and scallops, which I forgot to get pictures of. For dessert, of course I had to have the Grey Stuff and Greg had the triple chocolate cupcake. Here are some pictures from the different dining rooms and decor. 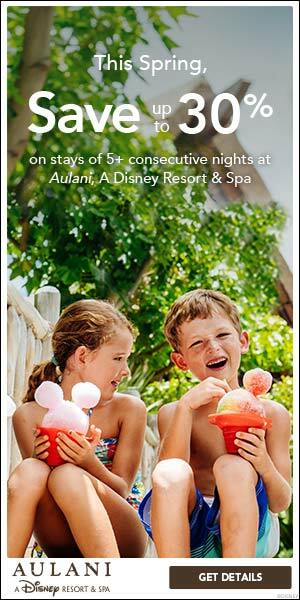 How Much Does Be Our Guest Cost? 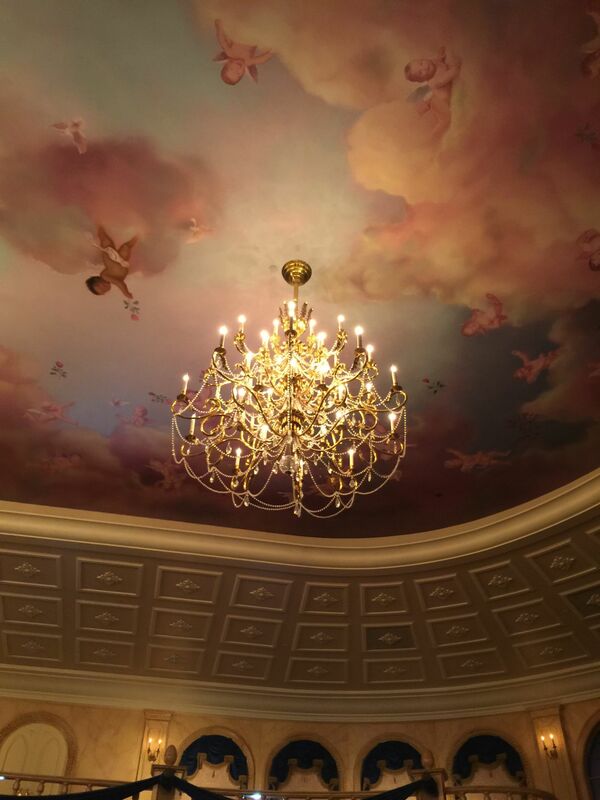 Be Our Guest breakfast is 1 quick service credit on the dining plans. If you are paying out of pocket, breakfast for adults is $24 and for children age 3-9 $14. 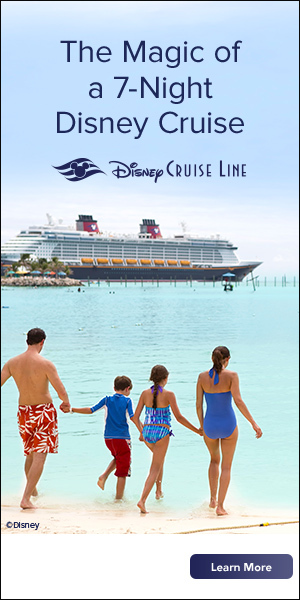 Lunch is also 1 quick service credit on the dining plans. If you are paying out of pocket, your price will vary by what you order. 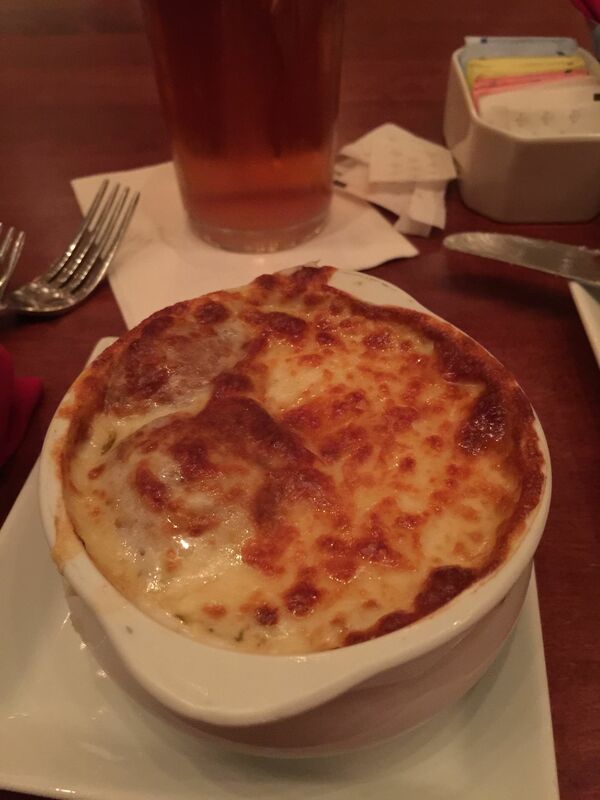 Entrees vary from $13 to $17. Desserts are all $5. Dinner is 1 table service credit on the dining plans. If you are paying out of pocket, your price is going to vary by what you order. Appetizers range from $8 to $17. Entrees range from $21 to $35. Desserts are all $5. 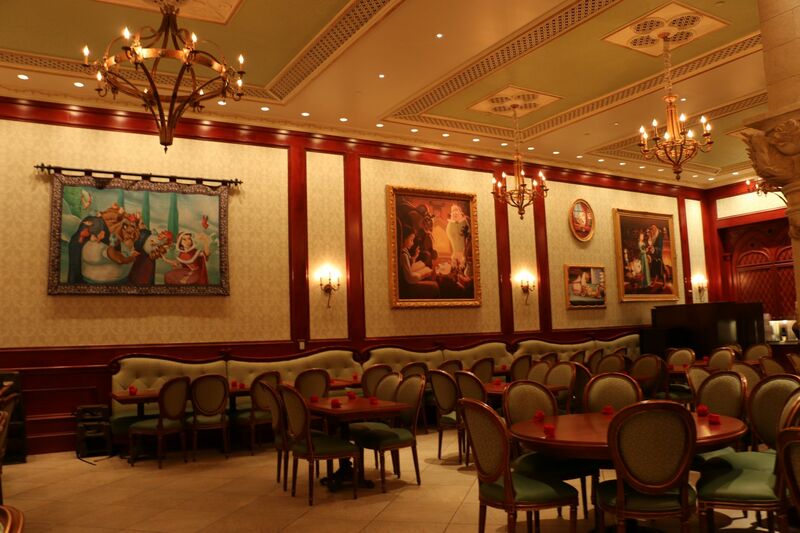 Be Our Guest continues to be the most popular restaurant at Disneyworld and the hardest reservation to get since opening in late 2012. The food is delicious and the atmosphere is incredible! 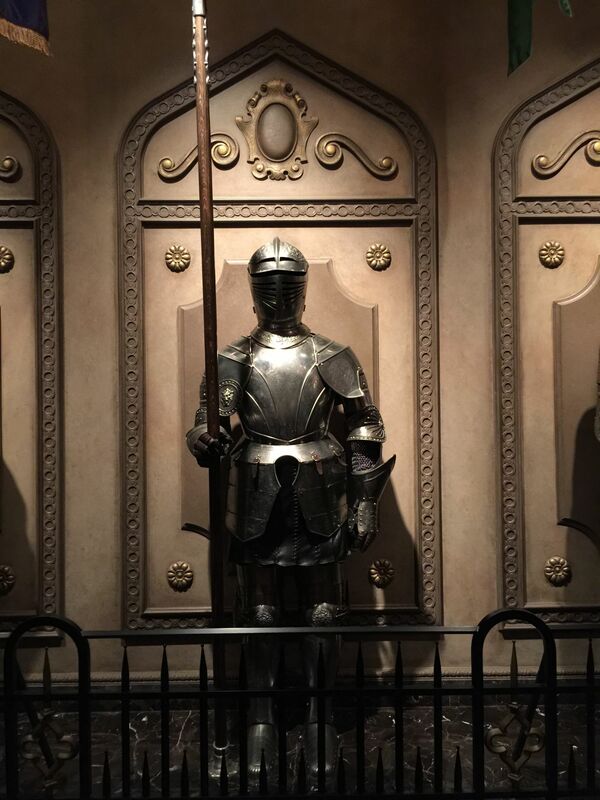 If you would like more information about how to book Be Our Guest for your next trip, click here.